Silk Armor is the story of Claire Sydenham, an American woman teaching English in Turkey. While she is there, she observes the relationship between her colleague Victor and Didem, one of her students. Victor and Didem’s relationship is tragic and destructive, highlighting the clash between old and new cultural values. For Didem, romance with Victor is forbidden. She fears how her father will react when he finds out, knowing that he will beat her (or worse). For Victor, the affair begins as a fling in another country, but he is tortured by the realization of what it costs Didem. For Didem and her friends, sexuality isn’t as casual as it can be in America, and just the attitudes surrounding it can have a major impact on one’s future. There are very real consequences for one’s actions. Silk Armor is told in a nonlinear manner which can at times be confusing. The story is mostly told from Claire’s perspective, but it jumps around chronologically and also includes fragments from Victor’s journal. It is an attempt to shed light on a confusing and difficult situation which has quite clearly had a profound impact on Claire’s life. Even the minor characters are vivid and complex. There’s the traditional Segvi, who struggles with her own Muslim faith as she watches Didem rebel. If she sanction’s Didem’s actions and goes along with them, she feels like she is betraying and minimizing her faith. Then there’s Didem’s first love, the former goatherd Mustafa. He’s also a draft dodger, so he lives an impermanent and nomadic lifestyle, sleeping on friends’ couches and working at a bar. Even though he seems like his life isn’t put together, he is stronger than he appears, and has been saving the bulk of his pay for a bride price. The central theme of the novel is the clash between old and new values. Sydenham doesn’t portray one as being better than the other; each of the characters must struggle with Turkey’s evolving culture and must choose his or her place in it, and the decisions people make aren’t always the ones that are expected. On the whole, I would recommend Silk Armor despite the confusing narration style. Before reading the novel, I didn’t know much about life in modern Turkey, but I found myself caught up in the characters’ struggles and wanting to learn more about the world in which they live. 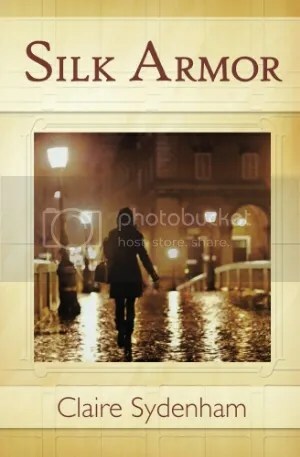 I received a copy of Silk Armor by Claire Sydenham from the publisher in exchange for an honest review.